According to the Chicago Tribune, Sleeper specifically made reference to the 2016 Pulse Nightclub massacre in Orlando, Florida when threatening a Lakeview gay bar. 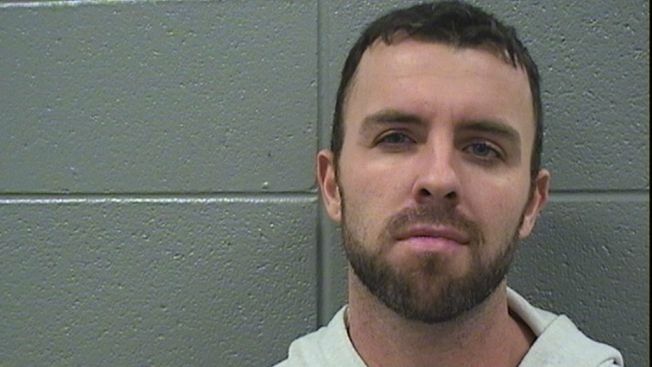 Authorities have located a Chicago man Wednesday who was arrested and accused of threatening Chicago gay bars and then accidentally released from Cook County Jail. Shane Sleeper, 31, was apprehended without incident on Thursday afternoon at approximately 12 p.m., according to the Cook County Sheriff's Office. Sleeper was originally arrested on Feb. 20 by Chicago police in the 3500 block of Lake Shore Drive, police said. Officers went to find him after he was named in six separate cases of harassment, police said. Police found Sleeper in the lobby of a building and he fled when confronted, they said. He was chased down and taken into custody shortly after, according to police. He was charged with several misdemenaors, including harassment, assault and resisting police. “We are still working on further details,” Officer Jessica Rocco said in an email. The Cook County State's Attorney's office said Sleeper was in custody when the sheriff's office brought him to court Tuesday where he was indicted on felony charges. "He was arraigned in a felony trial court room where he was assigned a no bail status and left in the custody of the Sheriff’s Office," the state's attorney said in an emailed statement. Sophia Ansari, a spokeswoman for the Cook County Sheriff’s office said the only communication her office received was that Sleeper’s misdemeanor charges had been dismissed so he was released accordingly. Anthony Guglielmi, a spokesman for the Chicago Police Department, said CPD wouldn't have anything to do with indictments and that the miscommunication was in the judicial system between the courts and the sheriff's department. Ansari said the sheriff’s office was working to find Sleeper. “(We) are confident he will be apprehended,” she said. Anyone with information about Sleeper should call 911 or the Chicago Police Department.